● We are the third-biggest manufacturer at home to own ultra large 3000T injection machine and matched large molds (moulds) manufacturing equipment. ● We specialized in mold(mould) making&plastic injection and have a skilled and experienced management team since 2001. 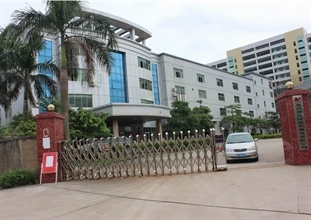 ● Providing one-stop services that product design, Prototype making, Molds(Moulds) design, Molds(Moulds) manufacturing , Plastic injection, Painting and Silk-screen, Product assembly. 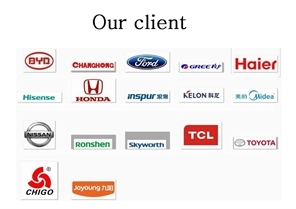 Our mould and products involve to: Home Appliance,Electronic digital products, Automotive parts, Medical equipment parts, Printer parts, Communication, Camera parts, Computer Accessories, Daily necessities, Toy, Lighting, Power Supply, Industry products and etc. ● Focusing on Two shots (materials or colors ) molds and products as well as experienced in IMD(In-Mold Decoration) and IML(In Mold Labelling) for many years. ● We are experienced especially in the field of auto mold and accessories, We have good experience for many years for low pressure injection molds manufacturing and products molding (Back -molding), The back-molding of fabrics is a convenient alternative to the labor-intensive method of laminating plastic parts for car interior trim.